Venture beyond the resort and uncover locally popular restaurants and off-the-radar sights for an authentic experience of Hong Kong. Golden Beach is the largest public beach in Tuen Mun spanning half a kilometre in length, and sits just in front of the hotel. With its silky soft sand, barbecue area, changing facilities and year round lifeguard service; the beach should feature on the itinerary of all beach lovers. 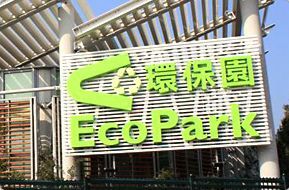 Located just 15-minute drive from the hotel on Lung Mun Road, EcoPark is Hong Kong’s first recycling-business park devoted to various of advanced technologies on waste management. The Resource Center, with the theme of municipal waste, aims to provide information on the importance of protecting the environment through various exhibition areas while visitors are encouraged to rethink about 3Rs – “Reduce”, “Reuse” and “Recycle” and put green living style into practice. Facilities such as Green Roof, Green Carpark, Solar hot water system etc. are also integrated to the area towards a greener environment. The innovative seafront shopping and leisure hub has a wonderfully open and breezy Mediterranean feel that combines alfresco dining and shopping. A festive spirit pervades the piazza through festive in-mall decorations, activities and charming performances for shoppers' enjoyment. The Gold Coast Piazza is the perfect place to enjoy a unique and fund day out. This open square is a visually arresting testament to the beautiful Chinese White Dolphin and features a dramatic, three-tiered golden statue representing peace, freedom and happiness. Only 10 minutes walk from the hotel, the space itself offers a wonderful panoramic vantage point, for unparalleled views of Castle Peak Bay. Seafood lovers flock to this vibrant local market where diners are invited to choose from the fresh catch on display and have it cooked in the nearby restaurants. Only 5 minutes by taxi, the market features several much-loved Chinese restaurants including Hoi Tin Garden Restaurant and Hing Kee. Conveniently located in the heart of one of Hong Kong’s fastest growing districts and only 10 minutes by taxi from our hotel, this five-storey mega mall - Tuen Mun Town Plaza - houses over 400 shops selling fashion, cosmetics, sporting goods and electronics, as well as providing pharmacy and grocery options. The mall draws visitors to its prestigious international brands such as Marks & Spencer, Zara and H&, as well as Michelin-star restaurants and array of entertainment facilities. The city’s first and longest hiking trail, the MacLehose Trail, finishes close to the hotel at Tuen Mun. Named one of the best hikes in the world by the National Geographic Society, guests can hike the 10th and longest stage of the trail 15.6km to Tin Fu Tsai or further, to Route Twisk. The trail runs along reforested hillsides featuring Chinese pines, slash pines, grey gums and lemon-scented gums and promises views of the Tai Lam Chung Reservoir. This quaint seaside town in Tsuen Wan is the go-to site for local delicacies and Hong Kong-style desserts. Head to Yue Kee and Chan Kee restaurants for what is widely considered to be the city’s best roast goose. Then treat your taste buds to after-dinner dessert at the nearby Lucky Dessert. Crowned by a distinctive crystal lotus blossom, the historic monastery includes the famed three-storey Ten Thousand Buddhas Hall and a kitchen serving vegetarian meals. Visitors can enjoy rural views of the surrounding landscape by ascending to the top of the Lotus Shrine. The 1.6km route provides a healthy and educational trek as it weaves through three ancient villages, passing 12 historic buildings including numerous temples, ancestral halls and a well-preserved walled community. Sitting 34 metres high, the world’s tallest seated outdoor bronze Buddha draws pilgrims from all over Asia. Located in the Po Lin Monastery in Ngong Ping, Lantau Island, the Buddha can be viewed from the base reached by a long staircase or by cable car.